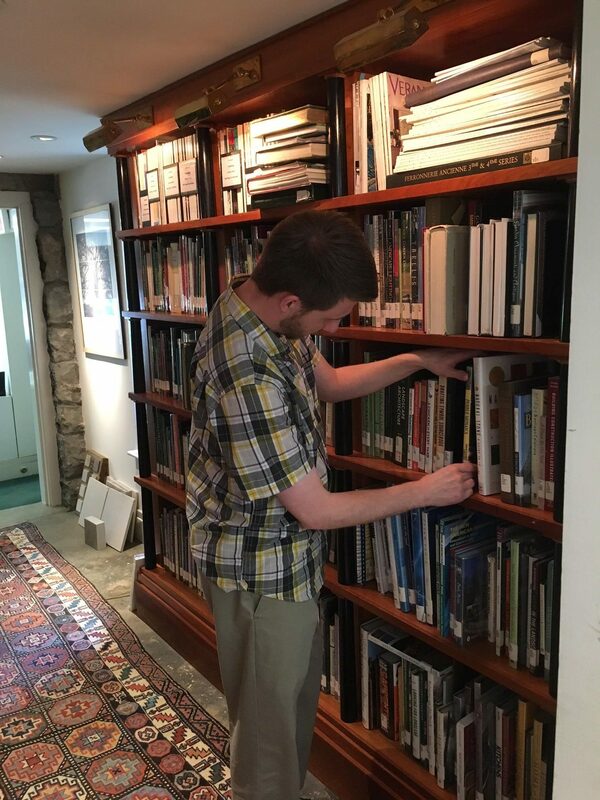 Zach Quint, cataloging and metadata librarian and Lina Sheahan, music librarian, volunteered this summer at the Page Duke Landscape Architecture firm on Music Row. Page Duke holds a collection of more than 400 books on landscape architecture, architecture, design and fashion. The collection also includes unique items related to the southern region that the firm uses on local and regional projects. The two spent their time cleaning and organizing the library, adding records to the online cataloging system and labeling each book they cataloged.